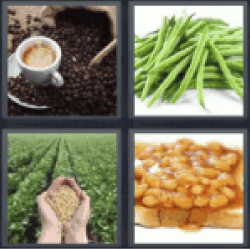 4 Pictures 1 Word Coffee beans. Green beans. Beans. Pinto beans.